A wedding is probably the biggest event you will ever organize. But that doesn’t mean you have to go mad and throw all your savings at it. In fact, unless you’ve recently come into a lot of money, you need to make a plan now so you don’t run up debt trying to put on a show-stopping wedding. Don’t worry though, being sensible now doesn’t mean that you can’t have an amazing and exciting party. In fact, with a bit of thought, you can actually create a day and night that is as fun as you are as a couple. The first thing you have to do is set a budget. Figure out have much you have to spend before you get to plan favors and fancy embellishments. It would be wonderful if your parents can contribute, but never assume that they will. And if you do think some loved ones will contribute ask them at the outset so that you have a clear picture of how much you have to spend. So you know how much you have to spend. Now refine the list of things that are a must-have for the day. Is it the food or flowers? Do you want a big band or big bridal party? Knowing what exactly you want will help you tailor your budget to fit your specific needs. Who you ask for your wedding is one of the most stressful parts of the whole process. But if you aren’t careful your guest list could number into the hundreds and break your budget before you’ve purchased anything else. Make sure to include people who you couldn’t imagine not sharing your special day. Once these are listed, the numbers will surprise you. And that’s before you invited neighbors, colleagues, and acquaintances. The months June to September are prime wedding season when the cost of venues skyrocket. If you don’t mind moving your wedding outside these months you could save up to 50% of the cost of your reception. Another option is to go for a mid-week wedding that will save big on wedding costs. Saturday is the most popular day to get married and so maybe give your guests plenty of notice so they can plan time off and make arrangements for a Wednesday wedding. As soon as you say the word wedding suppliers see dollar signs. So when you do start looking for a florist, cake maker or any supplier – just say that you are planning a party rather than a wedding. Now that all stops once you are married and you should shout from the rooftops to make sure that the hotel, airline and any other venues you visit on your honeymoon know…you will be surprised how many upgrades you will be offered. This might well be the most expensive item of clothing that you ever purchase. But it doesn’t have to totally break the bank. You probably won’t wear the dress ever again and if you are a tad sentimental you might not want to sell it on. So don’t go for thousands rather try designer sample sales where you can pick up a dress for a fraction of the price or tap into the vintage trend and save big on a dress that will only need a dry clean after being worn once! These are just some of the items to include in your budget. But don’t forget your budget should include the big and small. 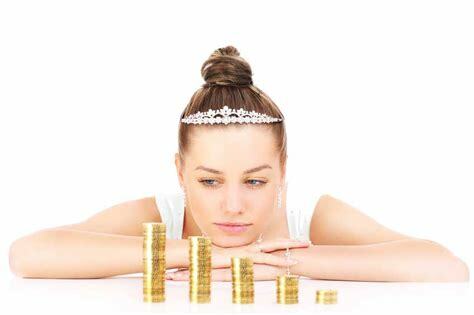 The not so obvious items like presents for the bridal party, stamps for invites and ceremony fees, will all eat into your finances. And once you’ve set a budget expect the unexpected. Build in at least a 10% contingency so whatever happens, you can cover the cost!